Welcome to Dena's Tools and Tips! With over 25 years' experience as an administrative secretary, I have a wealth of knowledge, skills and abilities. The Internet is the wave of the future, and we are in the age of everything virtual! What does "virtual" mean?-- collaborating together without person-to-person interaction, i.e., virtual assistant works from a home-based office with the business owner via phone, fax, computer, etc., working behind the scenes to get things done. 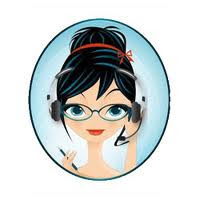 Businesses can effectively partner with a Virtual Assistant. You get the best of both worlds . . . an assistant whose main interest is your business and a cost-effective alternative to doing it yourself or hiring additional employees. What is your time worth? Check out my services. When you compare the cost of doing the work yourself, hiring an employee or an independent contractor, you can appreciate just one of the benefits of working with a Virtual Assistant. Dena's Tools and Tips - San Bernardino, CA. Powered by Blogger.